As a benefit to ALA South Florida Chapter members, we invite you to attend this webinar at the offices listed below. 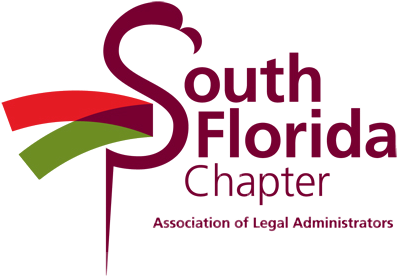 There is NO fee for South Florida Chapter members. The below described webinar is being hosted at the following locations. Please RSVP to the specific individual listed at the location you will attend. NOTE: RSVP's must be received at least 48 hours prior to the webinar date. Change is a constant, and if you can understand and manage it well, you can handle the challenges in your firm. But strategies for managing change depend on one’s role and level of seniority in a firm. Join this webinar to look at managing change from multiple perspectives. We will look at change theory, change psychology and practical aspects of managing change. Leave armed with new confidence in how you manage the challenges of change in your firm and in your life. CLMSM App Credit for Functional Specialists: 1 hour in the subject area of Communications & Organizational Management (CM) towards the additional hours required of Functional Specialists to fulfill the CLM application. John Childers, JD, is a leadership and organizational change consultant. He works at the individual level as an executive coach, and at the organizational level focusing on strategy development and implementation. Childers also teaches Organizational Leadership as adjunct faculty at the Justice Leadership Institute at the United States Department of Justice and at California State University, Northridge.